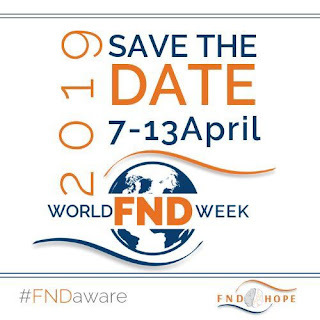 Today marks the start of World FND Week. 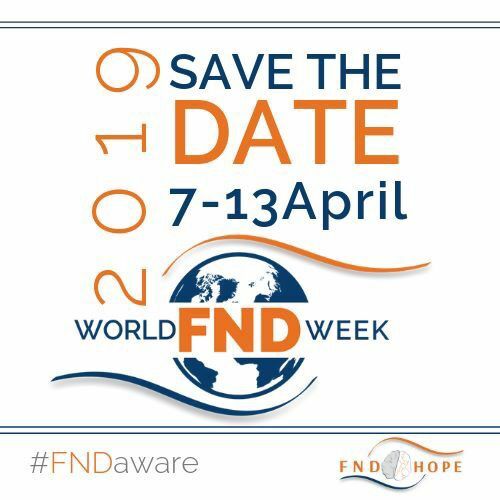 The first awareness week of it's kind dedicated to FND. FND stands for Functional Neurological Disorder. FND is a malfunction in the central nervous systems affects the the way the brain sends and receives messages affecting the body in numerous ways. As my blog name suggests no two zebra stripes are the same and that's the same for FND as no two people with the condition are alike. My main aim of this post is to focus on stigma an the misunderstanding around FND. Often is is mistaken for being a psychosomatic illness, for example seizures and often individuals with FND who have seizures are seen as feigning or are 'pseudo-seizures' when in fact most seizures are non-epileptic which are caused by a whole range of reasons including FND. Other symptoms are also treated the same way, for example continence issues - why would someone deliberately wet themselves?! Or with the movement issues that some people with FND experience and professionals not understanding why and are thinking that people are putting on an unbalanced gait or are faking or exaggerating a loss of sensation in their body. Because in the past FND has been seen as a psychosomatic illness many healthcare professionals unfortunately still hold this view even though research and new knowledge shows that it is a very real physiological condition which individuals have no control over. Even earlier this week I met with some very misunderstanding paramedics and my carer was trying to explain to them as to why would I put on a episode and to explain my care plan to them. The stigma an lack of education around FND is upsetting and frustrating. Often I'm left wishing I had a more well-known illness as then I may get the care and understanding I desperately need. As a result care and treatment options for FND are severely lacking in the UK and the need for more research and treatment guidelines is greatly needed. I wouldn't wish FND on anyone and being on the receiving end of poor care and judgements about my illness is horrible. Most people would think that when professionals are faced with an illness they don't fully understand they'd listen and ask the patient, but in my case that's rarely happened an instead I've faced criticism, accusations, poor care and more. I'd like to see more education of FND and for patients like myself to be listened to and asked about our illness. Over the next week I hope to talk more about FND to speak about the different aspects of living with the illness to hopefully raise some awareness.